The recent announcement by the Scottish government of the date of the Independence referendum – 18th September 2014, has brought out the usual Unionist bluster and lies. First up were the complaints about why we have to wait 18 months before the vote. This from parties that were positively hostile to any referendum. Parties that, if they had co-operated with the SNP in the previous parliament, could have had the referendum over and done with three years ago. Parties that repeatedly and loudly complain that there are still so many unanswered questions about independence. If so, then waiting 18 months can only be a good idea. We want people to be properly informed when they come to vote in 2014. Just a pity that the Unionists do not seem to be interested in providing any clarity. One example came from Johann Lamont who yesterday once again claimed that we do not know what currency an independent Scotland will use. Now you would have to have been away on Mars for the past year not to know the answer to this question. The SNP have repeatedly made it clear that an independent Scotland would continue to use the pound sterling. Now you might not like this answer and you might want to ask some questions about how this would work, but to claim that there has been no answer is to put it simply, to lie. It is amazing how Unionists demand again and again that those in favour of independence spell out in detail, with every t crossed, just what will happen in an independent Scotland in three, four or five years time. But what about the UK? Can any of our Unionist politicians tell us exactly what will happen in the UK in three, four or five years time? Of course not and it is disgraceful that our media, including the supposedly neutral and balanced BBC never challenge the Unionists to do so. An issue of particular interest to me is what will happen to our state pension in the years to come? If we vote no, will we all get a guarantee from George Osborne or David Cameron as to what the state pension will be in three, four or five years time? One that was legally enforceable? And if not, then why not? Or are we to just trust good old George to manage the economy for the benefit of us all? Specific questions about the future have nothing to do with the referendum which is about should Scotland be independent. Part of the problem is that most Unionists are more than happy to spread confusion on this issue. So than instead of debating the merits of independence, we get sidetracked into a debate about what an independent Scotland might decide to do. For the point of independence is that it will in future be the people who live in Scotland who get to decide on all these matters, whether it is the currency, pensions, defence, welfare benefits etc. A glaring example of this confusion was to be found in the latest piece on Scotland by Ed Jacobs, who writes for the online journal, Left Foot Forward. There he demands that Alex Salmond tells us what he thinks independence means and looks like. Ed Jacobs must lead a most restricted life, if he does not know what independence means. Nobody knows what things will look like in the future, neither in the UK, nor in Germany or anywhere else. If Ed Jacobs and his Unionist friends really do not know what independence means they could usefully ask the Embassies of the many independent countries in the world just what independence means. To help them out I can direct them to this article by Lithuanian commentator Artūras Račas. His piece is suitably entitled, Silly Questions. In it he replies to those Lithuanians who, 20 years after independence were unhappy with their government and were asking is this how we imagined our independence twenty years ago. As he puts it, “One cannot imagine independence one way or another. It cannot be good or bad, democratic or otherwise, socially-oriented or liberal. It has no bearing on the price of milk, meat, heating, pensions, sick leave or minimal wage, it does not determine life expectancy or demographic situation. It simply is or, alternatively, is not.” Once independent, we can imagine what we would want our independent state to become. But first we need to be independent. To paraphrase Račas, the fundamental question facing Scotland in 2014 is, do we want to continue being a national minority within the British state or are we mature enough to have our own state? 20 years ago the Lithuanians decided in their referendum that they were mature enough to have their own state, which is why today Lithuania is both independent and a state. If the Lithuanians can do it, why not us? 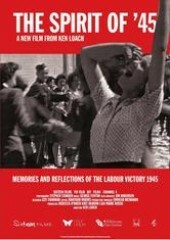 Ken Loach’s recent film was broadcast simultaneously in various cinemas across the UK last Sunday. I attended the showing at the DCA. A beautiful and poignant documentary which celebrates the achievements of the post war Labour government and in particular the various social reforms which it ushered in. The National Health Service was given prominence, but all the major changes were recorded, which included the nationalisation of the railways, the coal mines, the electricity and gas companies. Though the film uses archive material from the 30s and 40s, this is not in any sense a balanced documentary. It is rather a very partial and one-sided reconstruction of the period. The one-sided bit is not a problem, most people know where Ken Loach stands on the political issues of then and now. So it is no surprise that he offers us a very glowing and positive account of the changes ushered in by Labour in 1945. What is less acceptable is the partial account of the changes. In particular he presents the changes and the pressures for change as a result of the terrible impoverishment of the UK in the 1920s and 30s. While this is undoubtably part of the story, it is only a part of the story. What brought about the Labour landslide of 45 was as much or even more, the war. It was the changes that the UK underwent at home as much as abroad during the war years which underpinned the Labour landslide in 45. This is only alluded to in the film. The film is also partial in that it does not present any of the opposition to the changes, nor any of the disagreements and criticisms within the Labour government and movement about how the new institutions should be run and managed. All is presented as just wonderful. The other and most glaring partiality of the film is that it is almost exclusively about England and Wales. Northern Ireland does not get a single mention, while Scotland is only mentioned once as best I can recall. This may be because the NHS features as the pride and glory of the changes and right from the start there was no UK NHS. Instead there was one for Scotland, one for Northern Ireland and one for England and Wales. Whatever the reason behind this decision, the result is a film that is only about England and Wales. Now, giving a partial account of something is not in itself reprehensible. Where it becomes so, with this film is when there is a sudden and unexplained jump from 1951 to 1979 and Margaret Thatcher’s first election victory. We then get the by now familiar account of how the Tories went about dismantling just about everything that was left of the ’45 reforms. Privatisation of this, that and the next thing. Loach explained later that 1979 represented a new, individualist spirit in the land compared to the collectivist spirit of 45. However unlike the earlier part of the film there was no context or attempt at explaining why the country had changed so much by 1979. We were just shown a nasty, mean spirited Tory party in power and determined to undue all the achievements of the past. No hint anywhere in the film that the Labour party may have itself changed in the meantime and subsequently. It was only at the very end were we given an insight into the flaws of the 45 reforms – top down, bureaucratic, and corporatist. Much easier to just blame the Tories. The focus on England and Wales was confirmed when the Q&A session started in the hall in London. The first question from the audience was all about changes to the school system. Changes introduced by New Labour and pretty much irrelevant in Scotland and probably Northern Ireland as well. We left at this point. Difficult to know what to make of the film. Good in part, but just why was it made? It seems that Loach is keen to promote a new left party to challenge Labour. In which case why did his film not expose the part Labour governments have played in dismantling the 45 reforms? And again to reinforce the Anglo centric view of the proceedings, it seems to have escaped Loach and his supporters that in Scotland we have another alternative altogether – leave the UK and set up an independent Scotland where the spirit of 45 is probably a bit more alive and kicking than in England. The sheer arrogance and incompetence of our leading Unionist politicians is quite remarkable to behold. The latest example comes from Philip Hammond, Secretary of State for Defence in our nasty Conservative and LibDem government in London. He made an all too rare excursion from Westminster to visit Scotland and in effect to patronise us. According to Hammond, somehow an independent Scotland would be unable to defend itself. Alex Massie in his Spectator blog does a good job of exposing the fallacies in Hammond’s bluster. You can read it here. What is most interesting about Mr Hammond’s intrusion into the debate on independence is that it once again exposes the complete lack of any positive argument in favour of maintaining the UK. Despite the claims of their slogan – Better Together – when it comes down to it, all their supporters can ever say is that Scotland is too wee, too poor and for good measure, we Scots are simple too stupid to successfully run our own country. To the extent that Mr Hammond raises any relevant points at all, they are common to all countries in the whole world. What kind of military forces do we want to have? How much can we afford? Do we want to cooperate with other countries? Now these are exactly the key questions that the UK government is having to deal with right now. And by all accounts, none too successfully – with enormous overspending, huge delays in procurement and some pretty dodgy equipment for the troops. Under Mr Hammond’s tutelage, the UK’s military is going through a period of substantial downsizing. But of course all this is beyond the capabilities of an independent Scotland. I, the great Philip Hammond have the knowledge, experience and capabilities to make these important decisions, but you poor people of Scotland are simply not up to this. What other message are we supposed to take from Mr Hammond’s comments? After all, it is not as if Scotland will be the only relatively small country in the world that would have to work out a defence policy and decide on what kind of army, navy and air force it would need and could afford. Denmark, Norway and the Republic of Ireland, to name but three neighbouring countries all manage to do this without any great problems. In addition they all seem to have no problem with recruitment nor with providing satisfactory career opportunities. All countries willingly participate in UN sponsored peace keeping programmes and where appropriate in NATO activities. Thankfully they do not seek to invade and occupy other countries. Which may be why they do not need to spend such a high proportion of their GDP on the military. I am as yet not clear as to why politicians like Philip Hammond keep on lecturing and patronising us in Scotland. They clearly feel there is no need to develop a clear and thought out vision as to how Scotland currently and in the future benefits from the Union. They are happy to just tell lies and bluster. But is this because they are so confident that we will vote No in 2014 and there is therefore no need to waste time actually trying to persuade us with coherent and positive arguments? Or do they secretly want Scotland to become independent, so they can more easily maintain their political dominance in England? This week has seen our friends in the Unionist camp up to their usual tricks – lying about Scotland and its future. On the basis of a leaked Scottish government paper, Alistair Darling and his cronies in the Bitter Together campaign have hit the airwaves and the media to do Scotland down. The lack of facts in their attempts never seems to bother these guys. Just keep on lying seems to be their preferred way of working. Wings Over Scotland has done an excellent job of rebutting all the Unionist lies and scaremongering. There is nothing to add to this rebuttal, so just read it here. The attempted scaremongering of the Unionists was so bad that even the Scottish Sun had to revolt. Their editorial thundered: “Here’s a radical idea for the Better Together campaign. Just once, just for a change, let’s hear something positive about why Scotland would be better staying part of the United Kingdom. Because frankly, the scare stories are wearing a bit thin. The latest is over a leaked SNP document that’s cue for a doom-laden warning about slashing pensions, cutting defence spending and shedding public sector jobs. Strip away the hysteria and what you actually have is a sensible Government prepared to make sensible decisions about spending. A Government aware they are operating in a tough economic climate where there is no bottomless pit of money. And that’s whether you’re an independent country or part of the UK. Is there a single household in Scotland that doesn’t have similar conversations about what they can and can’t afford? It would be a shambolic Government that didn’t behave in the same responsible way. Bear in mind, too, this document was written a year ago in different economic circumstances and that oil prices and revenues have risen. The net effect and the hard fact is that the finances of Scots are £863-a-head healthier than the rest of the UK. Just about says everything we need to know about the sad state of the media in Scotland, when we need to rely on the Sun, of all papers, for a balanced comment. The other all too dependable point about the Unionists scaremongering is that it is once again based on the assertion that Scotland is too wee and too poor to go it alone. They are remorseless in this. They even seem to take pleasure in claiming that Scotland – their country, after all, is too poor to survive without the generosity of England. Some Union dividend this, if it were true. However, back in the real world, Scotland is in fact a very rich country and in particular a very resource rich country. Let us just take two examples. Number 1 – Whisky and the Food and Drink industry. With whisky, Scotland has probably the world’s most iconic drink. And in export terms, very much an up-market product. One with great scope for expansion as rising numbers of Indians, Chinese and others become rich enough to afford a bottle or two of good quality Scotch. The same applies to other parts of our food and drink industry. Scotland still has an international reputation for good quality food – aberdeen-angus beef, salmon, raspberries, to mention just a few. Again global demand for quality up-market food is likely to rise and rise in the coming decades. Scotland will be well placed to take advantage of this demand. Even better placed if we can rid ourselves of the UK brand. Example number 2 is Golf and Tourism. As the internationally recognized home of golf, Scotland is in a wonderful position to expand its tourism industry. 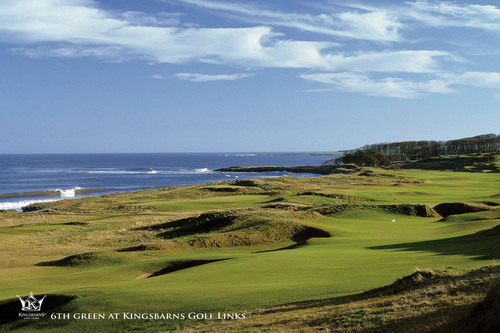 Scotland and golf are inextricably linked in the minds of all golfers everywhere. Much more than golf tourism though is on offer. Scotland has an enormous variety of scenery and landscapes to offer visitors including the highest mountains in the British Isles, some of the last wild areas in the whole of Europe, our beautiful islands, our varied coasts and a historic and beautiful capital. All this before we mention the cultural and leisure attractions. As an independent country Scotland will be better able to promote itself as an up-market tourist destination. With all that means for increased revenues for a Scottish exchequer. There is another revenue raising industry which is doing rather well and has a rosy future ahead. I refer of course to the energy resources under the North Sea. The Unionists are always ready at the drop of a hat to point out how volatile oil prices can be and how this resource will soon run out. No need to waste much time on this one. The oil will at some point in the future run out, but that is at the very least two generations or more away. And all the indications are that oil prices are going to rise and rise. Perhaps with a few bumps along the way, but the trend is for rising oil prices. You do not need to take my word for it, nor the word of politicians of any sort. Just look and see what the oil industry themselves are doing. They, unlike politicians, are putting their money where their mouths are. Lots and lots of it. £11.4 billion was invested in offshore energy last year and it is predicted to rise to £13 billion this year. Who says so – Oil and Gas UK, the body representing the oil and gas companies. Now, nobody invests that amount of money if they felt there was any chance that the price of oil was about to decline. The bottom line is that Scotland is a resource rich country. Why the Unionists would want to pretend otherwise is a bit of a mystery to me. 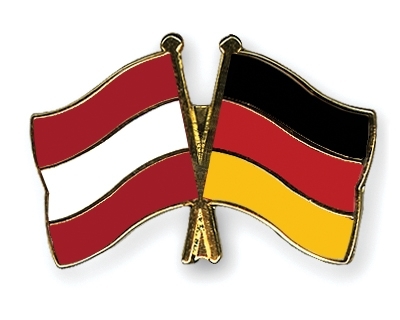 Austria and Germany – Better Together? I have always found it surprising that the Better Together campaign to keep Scotland in the UK, never mentions other small or relatively small countries in Europe. Well they do sometimes, but usually only to disparage or insult them. Overwhelmingly the message from the No campaign is that the benefits of being part of a larger and more powerful state are only needed by Scotland. Better Together is quite a powerful call, but if it is to have any meaning other than a PR slogan, it should be applicable to at least some other countries. Otherwise it is devoid of any real meaning and is simply a cover for the assertion that Scotland is too wee, too poor to be independent. The problem for the Unionists is that there are numerous countries in Europe that are much smaller than Scotland, both in terms of size and population – think of Luxembourg, Malta, Slovenia, Estonia to name but a few. All independent and all now part of the EU as full member states. Tiny Luxembourg was even one of the original six founding members of the EU. So smallness is no barrier to independence nor to success. In fairness to the Better Together campaign they do not claim that Scotland could not survive as a separate country. Their claim is that there is a better choice for Scotland – namely to be part of the UK. But this better choice must logically be a better choice for other small countries. Let us take Austria as our example. While Austria is a little bigger than Scotland, it is not by much. The landmass of Austria is 83,855 square km and that of Scotland is 78,387 square km. The population of Austria is 8.5 million, while Scotland has a population of 5.3 million. So we have two relatively small countries, one lying to the north of a much larger country with which it has much in common and one lying to the south of a much larger country with which it too has much in common. So, surely Austria, just like Scotland would be better together with Germany. Why not? After all the two countries have a lot of shared history and customs and a common language – German. Both countries are Federal Republics, so it would be easy peasy for the two to come together. Germany already has experience of this, when the former DDR became part of the Federal Republic in the 1990s. We can take the key arguments from the Better Together campaign in relation to Scotland and see if they apply to Austria and Germany. The following text in italics is taken directly from the Better Together website, with the substitution of Austria for Scotland and Germany for the UK. In this context Germany would refer to a combined Germany and Austria. My comments follow in parenthesis. All in all is hard to argue against this scenario and the overall claim that, A strong Austrian Parliament within the Federal Republic of Germany gives us the best of both world: real decision making power here in Austria, as well as a key role in a strong an secure Germany. So why does no-one, absolutely no-one either here in the Better Together campaign, nor in Austria, nor in Germany make this claim? It sounds good after all. But, other than in the minds of Unionists in Scotland it is an argument which is simply risible in the rest of the world. I am quite sure that Austrians are well aware that there is something bigger than their beloved Austria. It is almost certainly the EU. Why would Austrians only want to come together with friends and family from Germany or any other one country? Many Austrians will have family, friends and working colleagues from many countries – Poland, Slovenia, Hungary, the Czech Republic, to name but a few. Why on earth would they want to limit themselves to links with Germany? Exactly the same of course applies here in Scotland. Most of us are happy to celebrate the coming together in Scotland of people from all over the world – Poland, Italy, India, Pakistan, Republic of Ireland and England. Just why oh why do the Better Together people want us to elevate the English above the others? For when it comes down to it, the Better Together campaign is just a rather parochial British nationalism. Or, given the latest claims by the UK government, should that be Greater English nationalism? This post was originally published on my previous blog. As the subject is still topical, I thought I would make it my first full post on this new blog. Hello, I have created this new blog to host my musings and reflections on politics and current affairs. The blog is essentially to replace another blog which can be archived here. Mostly the posts will be about Scottish politics, in particular the campaign to win a YES vote in the referendum on Independence. I will also cover from time to time events elsewhere, especially the struggle for Justice in Palestine and developments in the European Union. And anything else that gets my goat up. Hope you enjoy the posts.